Home › Exhibitons and Shows › Gone (Ice) Fishing…. 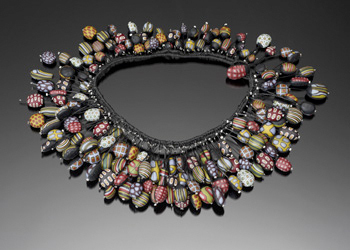 in an exhibiton called JuJu Magic opening on January 27 at Facere Jewelry Art Gallery in Seattle. 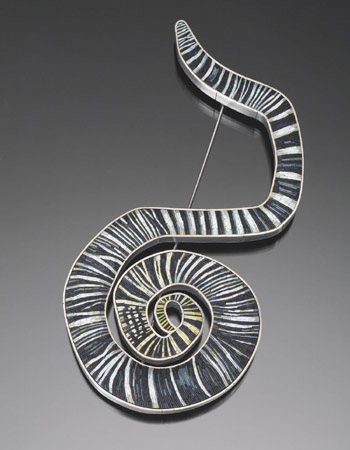 Cynthia Toops, Annelida, 2009, Brooch, sterling silver and polymer clay micro-mosaic. Sterling silver by Chuck Domitrovich.